There are many, many connections between higher education and music and I’ve reported on some of them here before. We’ve looked at the older big names on the HE music scene, I’ve reported here on the lost bands of HE and some of the forgotten ones, as well as which bands to watch out for in 2018. In addition we have had other HE-related music topics including universities named after bands, VC Desert Island Discs and some books about university gigs. There are, of course, also some outstanding examples of leading academics who have made it big in the music industry. And I’m not talking about “Professor” Green. Who can forget this appearance by Brian Cox (now media academic star extraordinaire) on Top of the Pops? And then there is Kingston University’s Professor Will Brooker’s David Bowie tribute – he spent a whole year in character as the thin white duke. For years, the ensemble performed at the annual dean’s dance, armed with an original song that satirised whatever hot gossip had circulated that semester. Evans, a biologist, an immunologist, and an amphibian ecologist make up the core group. But technically, according to the band’s website, the ensemble is not composed of Georgia Tech faculty and alumni. 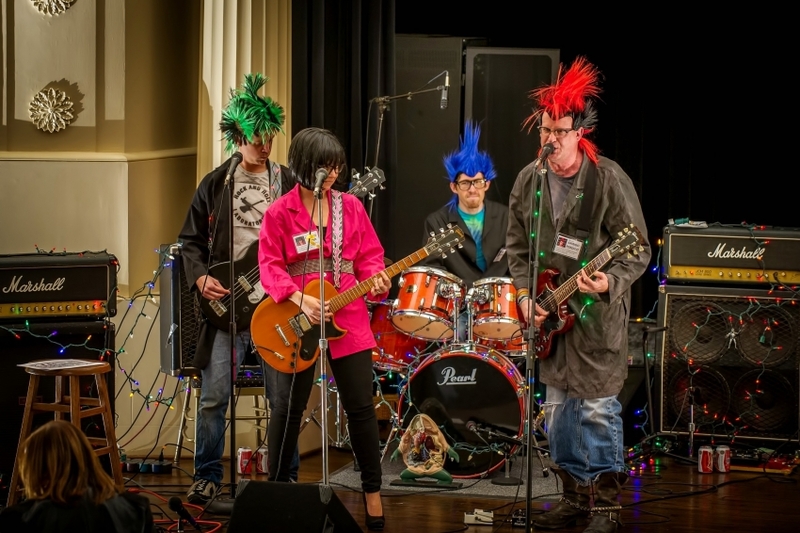 Rather, the people who take the stage are clones of Georgia Tech faculty and alumni whose genetic makeup was spliced with DNA stolen from iconic rockers like Joan Jett and Alice Cooper to form the world’s first “genetically engineered rock band”. Thanks for a great article that brings back wonderful memories of my dad. He was Professor of Economics at various universities in South Africa (and spent a year lecturing at the Uni of Glasgow and Penn State Uni, respectively, in the seventies) and played in bands as a drummer throughout his life. When he was a student in the sixties at the Uni of Stellenbosch he played in a rock ‘n roll band called the Ritmos – they’d play at all the uni dances. Then as an academic at the Uni of Rhodes, he played in the Andrew Tracey Steel Band and, later at the Uni of Stellenbosch, he played in various uni rock and jazz bands. I have the fondest memories of academia and music brought together through my dad. For many of his students too, it was a great thrill seeing Prof. Black play the drums till the early hours. Fantastic! Thank you for this Franki. Now THAT is hair you can believe in!